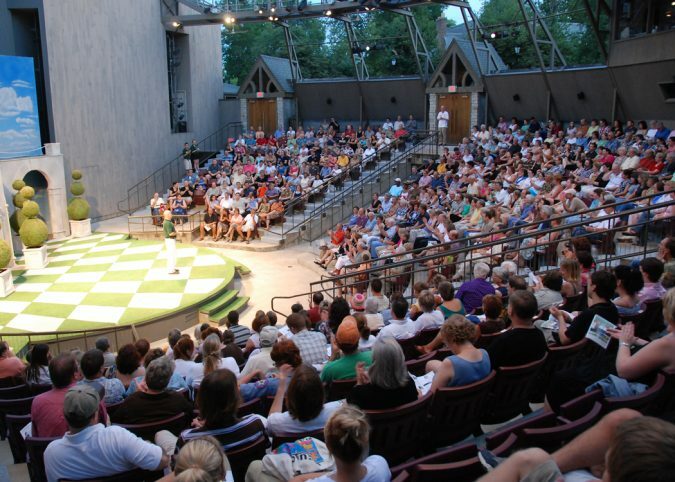 In fact, the Illinois Shakespeare Festival reaches over 10,000 patrons each season. In addition to our regular season programming, Theatre for Young Audiences shows are performed free of charge to the community on the grounds of Ewing Cultural Center, and the touring Bard In A Box program brings theatre to schools and community centers in the area. In 2017, the Festival launched successful K-12 camps, where students perform adaptations of Shakespeare on the same Festival stage as the professionals. In addition, Illinois college students can apply to participate in the Festival through internships in every area from acting to stage management to production. This experience provides students with a bridge into the professional theatre through hands-on training and significant networking opportunities with professional actors, directors, designers, and craft artisans. We are so thankful for our continued partnership with the community.